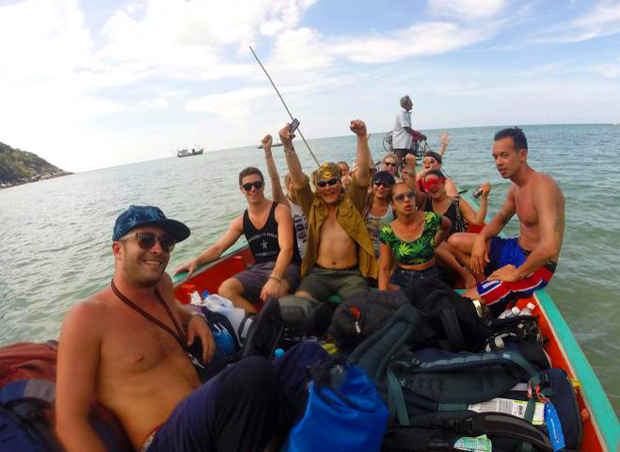 TruThai Discovery is an amazing 27 day trip which takes you all around Thailand and combines awesome group adventure travel ideology with exciting and worthwhile volunteering projects in the North of Thailand so you can give back to this beautiful country whilst you are enjoying it. This is no ordinary backpacker tour. It is a life changing experience in which you will see many different sides of Thailand, visiting 8 must see spots in just under a month. 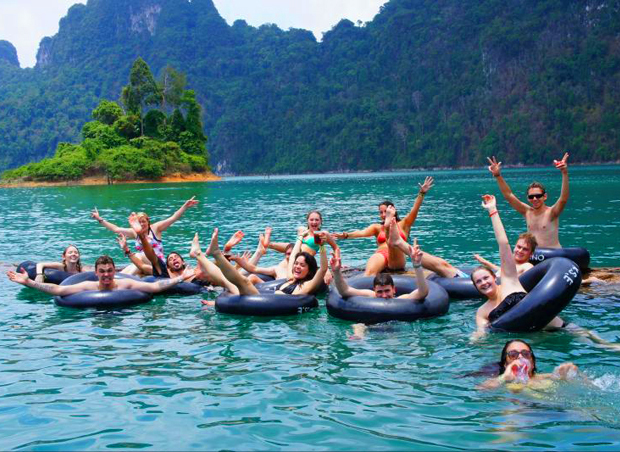 Experience the hustle and bustle of Bangkok, the history and wonder of ancient Ayutthaya and its World Heratige temple ruins, the old and new cities of Chiang Rai and Chiang Mai, live with Northern hill tribes and give back to the community, jungle trekking, nights out in Bangkok, floating bungalows, mountains & fresh water lakes at Khao Sok, boat trips, snorkeling, paradise beaches, waterfalls, coral reefs, parties & more in Koh Phangan. Group leaders will be on hand throughout the trip to make sure all the details are taken care of and that you are having an amazing time. They can also advise or help you plan the rest of your travels if you have more time after the tour is over and will always be contactable should you run into any problems or have any questions later in your trip. A great safety net to have when travelling abroad and a perfect start to your experience of a lifetime! Remember! This tour cannot be booked without proof of Travel Insurance. 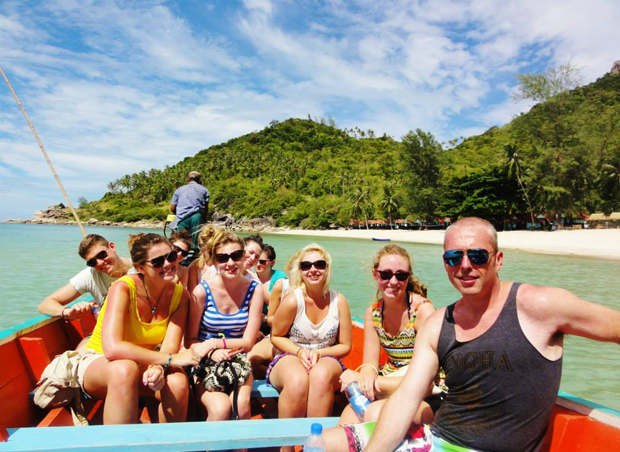 Book your travel insurance now through our recommended provider – the best travel insurance for backpackers. ARRIVE IN THE HUSTLE & BUSTLE OF BANGKOK: When you arrive we will pick you up from the airport and whisk you to our guest house in the heart of the backpacker area of Bangkok where you will meet the rest of your group. On day2 you’ll receive an in depth orientation on the next 25 days of this unforgettable tour before setting off on a trip through Bangkok City to experience the culture and atmosphere of Thailand’s capital and busiest city. 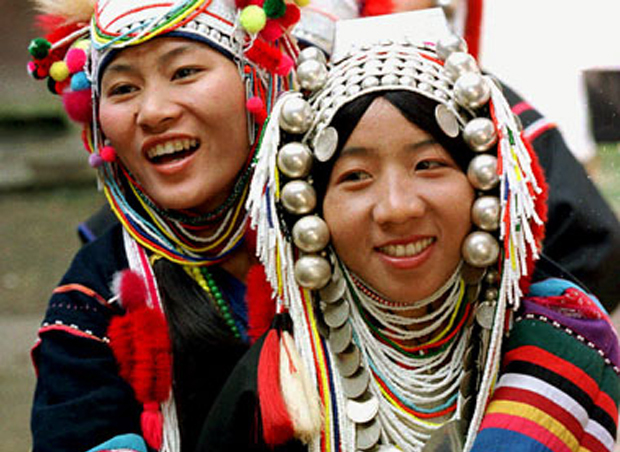 In the evening we will get to know each other over dinner before heading out to party ‘Khaosan’ style! On day 3 we will get to do some serious shopping and depending on the day we’ll show you around Siam Square or the worlds biggest outdoor market! It’s not all shopping though, heaps of restaurants and bars are everywhere to help you chill the day away! Both the market and the shopping centre boast 1000’s of shops and stalls and sell pretty much everything you could possibly want from clothes to souvenirs to pets… You have the day to do as you please and we’ll be with you every step of the way to show you all the best places and ensure you don’t get lost among the bargains! 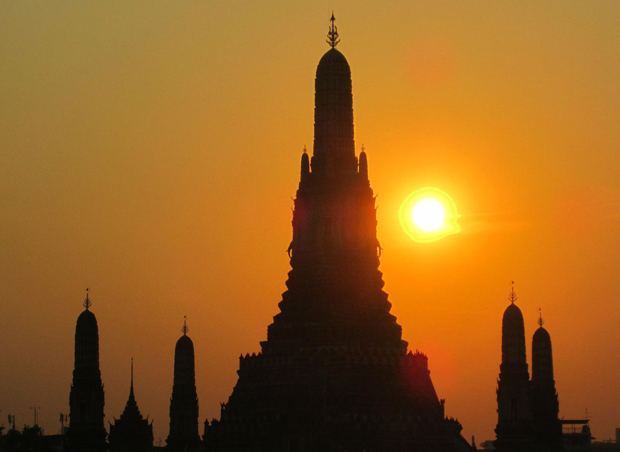 EXPLORE BANGKOK, RIVER, TEMPLES & WAT ARUN: Today we explore Bangkok and experience some of Thailand’s history and culture. We feel the best view of the city is from our private longtail boat along the Chao Phraya River, taking some back canals along the way to show you the city from behind the scenes. We stop at two of the most prestigious temples in Thailand: Wat Arun, which offers some stunning views of Bangkok and Wat Pho to see the very impressive giant, gold reclining Buddha statue. We then hop in a Tuk Tuk back to our guest house, something every traveller has to experience whilst in Thailand. The rest of the day is free for you to enjoy Bangkok and we will meet for dinner and head to Khao San Road in the evening. NEW TO OLD. AYUTTHAYA, HISTORY & TEMPLES: In the afternoon of day 4 we head to Siam’s ancient capital and world heritage listed site, Ayutthaya. 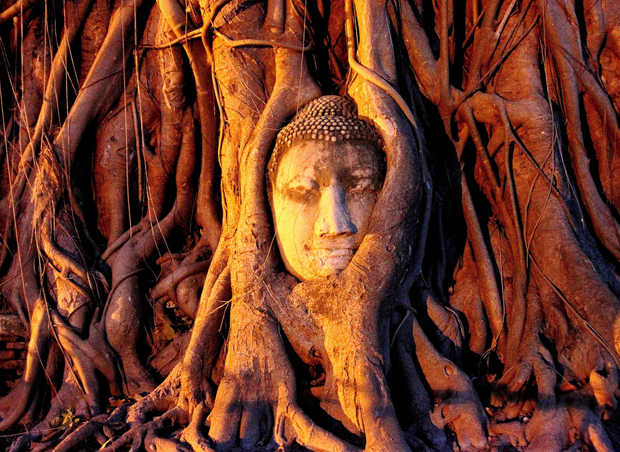 Going from the mix of old and new in chaotic Bangkok to the ancient capital of Ayutthaya will really help you to appreciate Thailand’s rich and interesting history. While here we will take a tour through this ancient UNESCO heritage site. 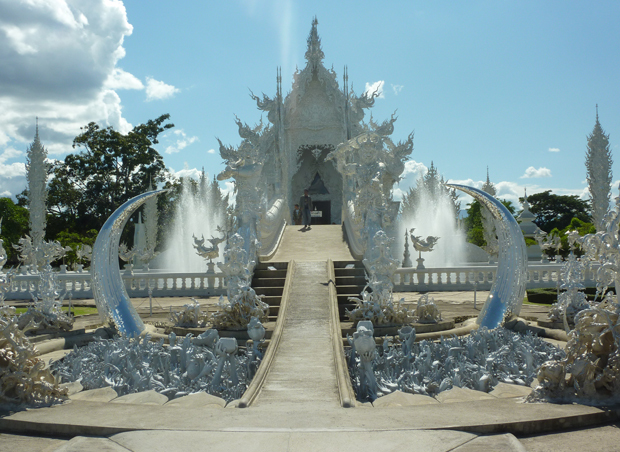 Our guide is a fountain of knowledge so you will learn a lot about the history of the old capital and Thailand itself before jumping on the luxury overnight coach on day 5 to the northern city of Chiang Rai. CHIANG RAI, NORTHERN THAILAND: We arrive in Chiang Rai in the morning so you have plenty of time to recharge before we give you an orientation of this amazing city. While here you’ll get plenty of time to relax, you can go for a walk around the city and take in the sights and for those of you with energy to burn, our guides can help you to organise any local activities or sightseeing trips that take your fancy. 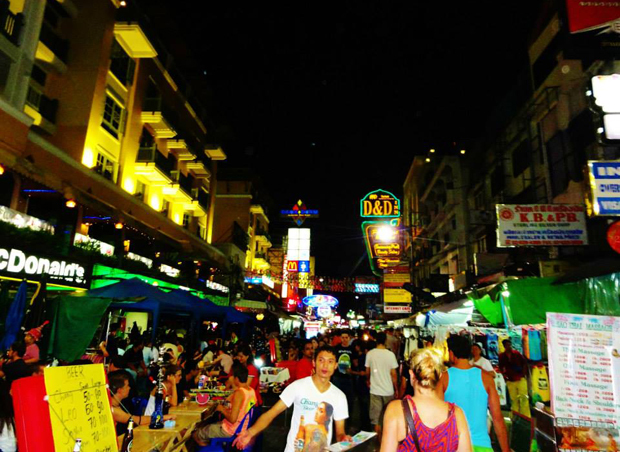 We will visit the night market and on day 8 we will take a tour to the golden triangle, the mysterious area where Thailand, Laos and Myanmar collide, an area steeped in history or war, drugs and regeneration. 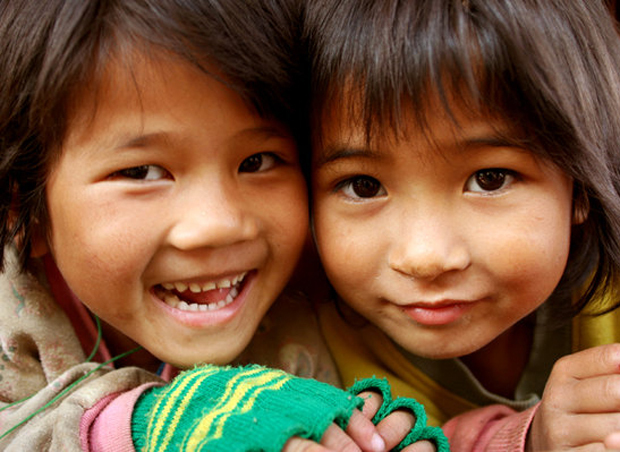 HILL TRIBES & VOLUNTEERING: On day 9 we take a morning ride to the hill tribe village in the jungle of Northern Thailand where we will spend the next few days volunteering and helping with either childcare or a development project or both. We will take treks around the surrounding jungle and if your volunteer project is development based, be ready to get your hands dirty! 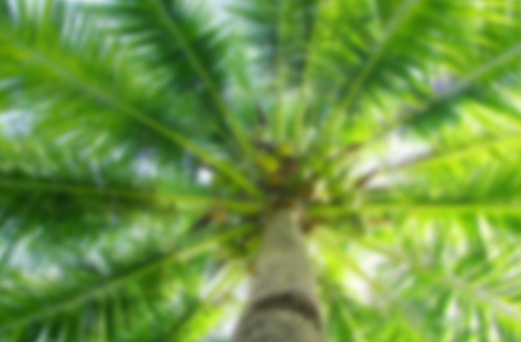 To ensure your project will aid the community we work very closely with a local NGO. On the final day of the project there are sure to be plenty of smiles and hugs and you can give yourself a pat on the back for being a good Samaritan before saying good bye to the tribe and heading back to the city for our last night in Chiang Rai! FROM ‘RAI’ TO ‘MAI’: Take in the stunning views all the way from Chiang Rai to Chiang Mai as we drive one of the most beautiful roads in Thailand. Chiang Mai is definitely one of the ‘must see’ places when travelling around Thailand and you’ll find out why when you see it. Much quieter and more relaxed than Bangkok, Chiang Mai fuses old and new in a different way and is surrounded by nature and beauty as well as being a cool city to hang out in. While here we’ll lead you on a tour around the city to see some amazing sights, check out famous night market which boasts world class food & drink at unbelievable prices, climb the 2000 steps (or take the cable car) up to the famous mountain temple of Doi Sutthep. Locals say that you have not seen Chiang Mai until you have been to Doi Sutthep and with the panoramic views of the city you will be glad you made the effort. 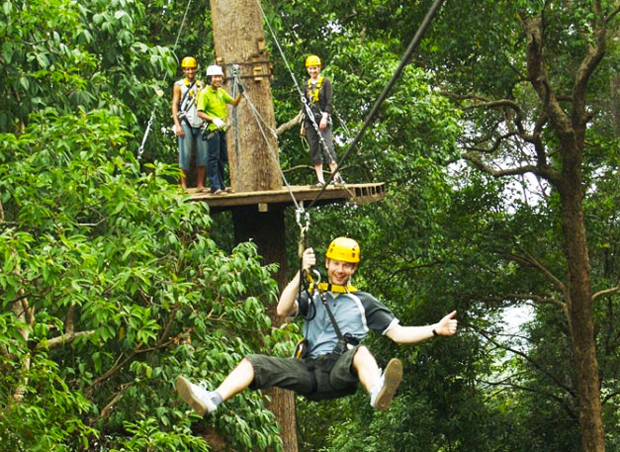 Other things you can do in Chiang Mai include Thai cooking classes, massages, jungle zip lines, ATV rides, shopping or just chilling in one of the city’s cool & laid back coffee shops or bars. One of the days here will also be spent getting up close and personal with some elephants and learning the ancient ways of the mahouts (elephant handler). Many people find this to be one of the highlights of their trip as they form a real bond with these majestic and noble giants. BACK TO BANGKOK: When we arrive back in Bangkok we will get checked back into our guest house before heading out to meet up with a new set of travel buddies who will be joining us for the next 8 days on the TruThai Experience section of the trip. No doubt we will enjoy a few more nights out with our new crew on Khao San Road before continuing the adventure on day 22 and heading to Thailand’s South by night train. Note, there may be one extra night in Bangkok which will be included but make sure you look at the end dates properly and allow time to get to Bangkok for onward flights. KHAO SOK NATIONAL PARK: The train will arrives early in Surat Thani and we are taken straight from the station to Khao Sok. We stay in floating bungalows on a beautiful fresh water lake surrounded by mountains and natural rain forest. We get to our bungalows by long tail boat and before we arrive we make a stop on the lake for some swimming and cliff jumping, the best way to wake up after a long train ride. When we get to the bungalows you have the rest of day to enjoy this beautiful spot, you can relax by the lake, chill or play on the inflatables, try some kayaking or join us for a monkey spotting boat ride. All meals are included and you’ll get some sample a variety of freshly cooked Thai cuisine and enjoy the company of your group with a few beers on the lake. ARRIVE IN KOH PHANGAN & BOTTLE BEACH: After breakfast by the lake we head over to catch the ferry to the tropical paradise island, Koh Phangan. When we arrive our transport will be waiting to take us to the Bottle beach. 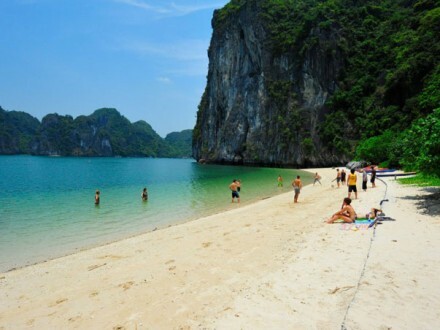 One of our favourite spots in Thailand, Bottle Beach is a beautiful secluded bay north of the island where westay in our own private bungalows just a few steps from the crystal clear blue sea. We have a free afternoon to enjoy paradise and in the evening we’ll have our own private beach party with cocktails, music and camp fire. 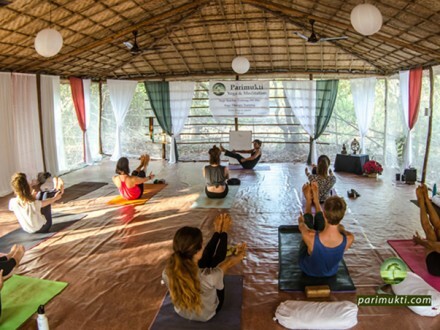 ELEPHANTS or MUAY THAI LESSON & HAAD RIN: Wake up at your own time to the sound of the waves breaking on the beach and open your door to white sand, blue sea and sunshine. The morning is free to soak up some rays, play beach volleyball, swim in the sea or build sandcastles. In the afternoon we jump on a taxi boat to the fishing town of Chaloklum, in the afternoon you can choose between an elephant ride or a Muay Thai (Thai Boxing) lesson. If you choose elephants we will take you to meet a local Thai family and introduce you to their adorable resident monkey and elephants, you’ll get to take a short ride through the jungle on your elephant and feed him/her some fresh fruit treats. 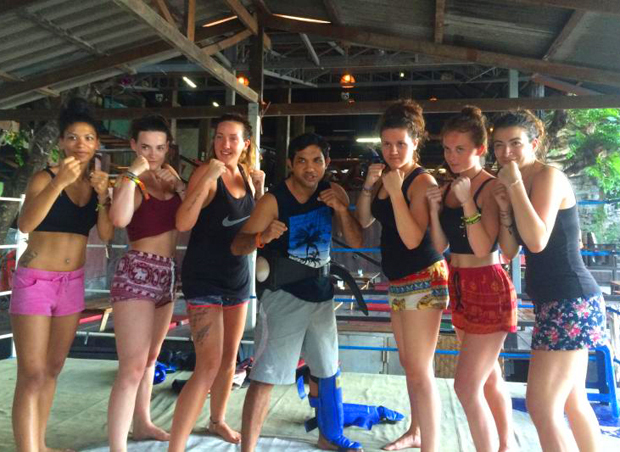 If you choose to try your hand at Thailand’s national sport and get sweaty we will take you to a local gym where an ex pro Thai boxer will teach you the basics and take you through a typical 60-90 minute Muay Thai training session. Everyone is welcome to try this, we will tailor the lesson to your ability and it’s a fun experience and a great workout! Hitting a bag or pads is much more fun than running on a treadmill for hours! After afternoon activities we head to Haad Rin and check in to the posh resort where we spend the next few nights. You’ll have the rest of the day to explore Haad Rin or relax by the pool or on the beach. 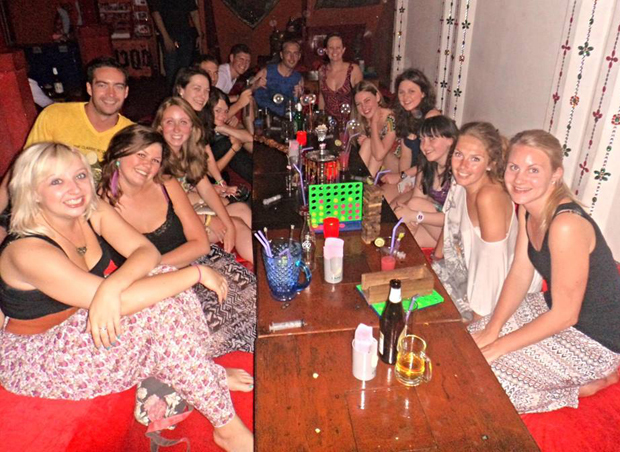 In the evening we’ll meet for dinner and a few drinks on the famous full moon party beach. Your group leader will meet you at the airport if you arrive on or within two days of your start date. Any earlier arrivals will need to make their own way to our guest house in Bangkok (directions supplied). The best time to arrive in Bangkok is on the start date of your tour as we leave the day free for airport pickups and to let you settle in. In order to land on your specified start date, you will need to leave the day before. If you arrive 3 or more days before your start date, your group leader may not be able to pick you up from the airport. However, we will arrange a taxi to our guesthouse and book you in for any extra nights. All you need to do is let us know and give us your flight details. One day Mahout training course & day getting to know the elephants! Beach bungalows at Bottle Beach (situated on the beach itself). We leave most of meal choice to you, but we do take you to some amazing restaurants (both traditional and modern) so there is always something for everyone. Please note you will have to buy all your other meals, snacks, water etc., so do budget for this when planning your trip! Party with the team over Full Moon and let us show you how to do it right. We have done 100’s of Full Moon parties between us so use the benefit of our experience to make sure you have the best possible night and avoid the ‘usual’ rookie mistakes that many first-time party goers make! Loads of advice for onward travel in Thailand/Asia/Oz and help organising flights/buses/trains or additional adventures!